We are really pleased to hear that you would like to get married in Church. If you live in the parish of St Paul’s Nork, (including West Banstead and Epsom Downs) and want to get married in this church your first step is to contact our parish office for availability. You will need to complete an application form (Click here to download). When you meet with our parish priest you will also be asked to complete a banns of marriage form. If you live in the parish of St Paul’s Nork and are planning to get married in another church you will also need to fill in a banns form, and send a copy of it to the minister of the church in which you wish to get married. At St Paul’s we read the banns in Church at the 10:15am Service on the first three Sundays of the Month. Contact the Parish Office to make an appointment to complete a banns form. Do I live in Nork or another Parish? To check your local parish church visit: www.achurchnearyou.com and enter your residential postcode. 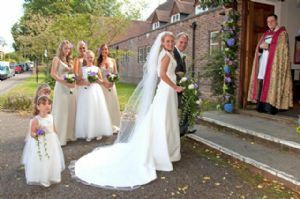 If you have more than one address your banns of marriage will need to be read in each relevant parish, in addition the church in which the wedding service is to take place. Whilst we affirm marriage as a lifelong commitment, we recognise that some marriages do fail for all sorts of sad and painful reasons. Each couple's circumstances will be different, but please contact the us and we will be pleased to talk through with you the possibility of remarriage in church. I already have children – what about including a Baptism? We are happy to include the baptism of your children within the Wedding or Dedication after Civil Marriage service. 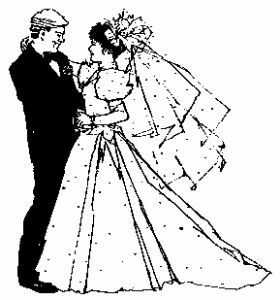 How much will a Wedding or Dedication after Civil Marriage in church cost? The fees for weddings change each year. In 2009 the average cost of a wedding was £500. Click Here for "Cost of your Wedding" Form 2018. The parish priest will write to each couple to explain more once a wedding has been booked. A £100. deposit is required to secure each wedding. It is good to think about planning your service before other things take over. You will need to choose music, hymns and readings. 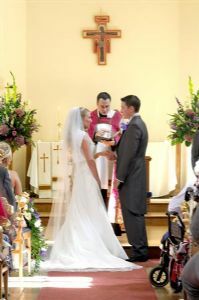 Click here to see a copy of the Marriage Service. You will also need to consider what flowers you would like in church. Your wedding is an exciting day, but it is only the first day of your married lives.As part of your preparation for marriage, we recommend that you attend our marriage preparation course if you can. There are many helpful websites that enable you to think more about what to consider when planning you wedding. You may find the following helpful.